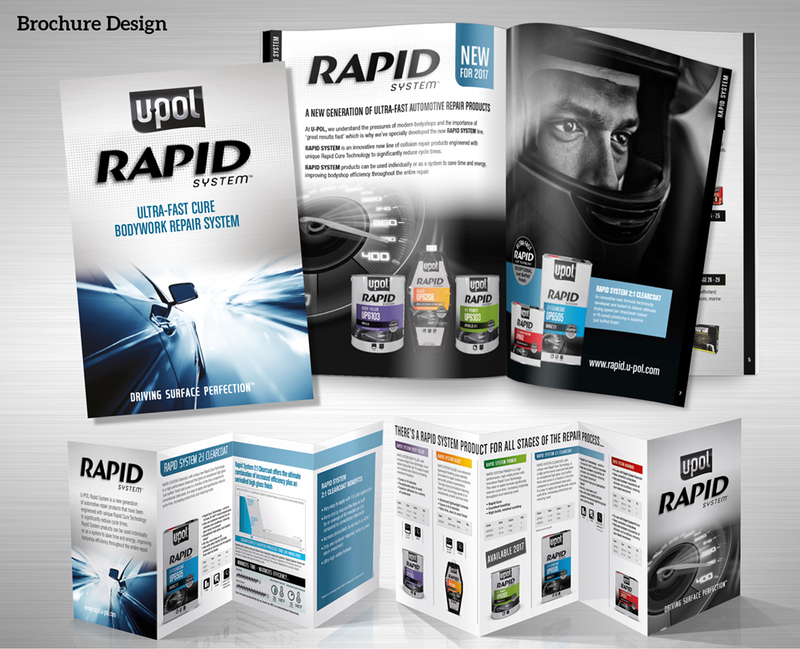 UPOL asked us to create a sub-brand identity and packaging for their breakthrough Rapid System which offers significantly faster curing times versus the competition. As part of the overall U-POL rebranding project, the packs had to look technically superior versus the rest of the portfolio and communicate the key benefits at a glance. We also supported the launch with communication material and collateral. Our metallic silver tins with rich colour coding give technical cues and reflect the premium positioning of the product. The speedometer is a Rapid System asset that is used across all communication material to differentiate the range. We also developed a series of ‘at a glance’ icons to help body shop staff select the correct product for their task.